What would you do with 72 hours in Copenhagen? If you have 72 hours to spend in Copenhagen, you’ll easily fill your time in the coolest capital in Scandinavia. The city’s known for its style and design but also offers the visitor history amidst prettily-coloured houses set in cobbled streets. 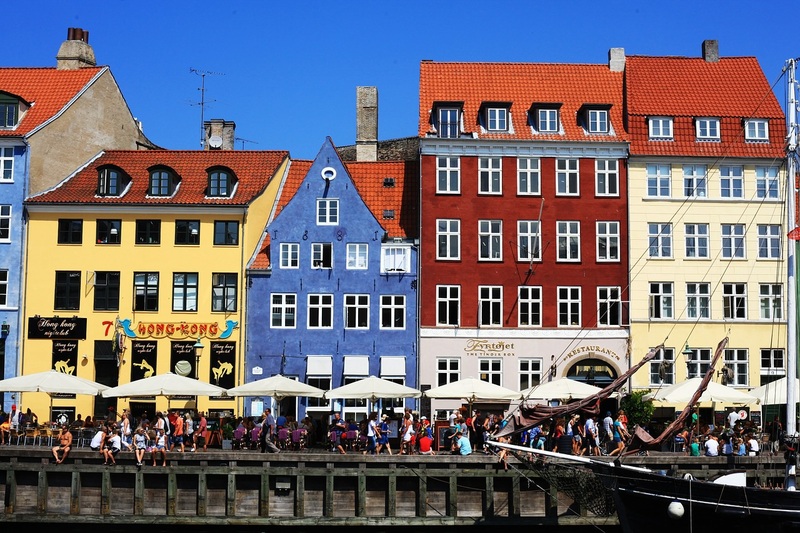 Most sights are within walking – or cycling – distance and you can save money by buying a 72-hour Copenhagen card for free admission to many attractions. Start your 72 hours in Copenhagen by making a trip to the world famous Tivoli Gardens, where there’s something to please everyone. At night the whole park takes on a magical feel with the help of thousands of tiny lights. Rides vary between modern for the thrill seekers and traditional – the 1914 wooden roller coaster is one of only seven around the world to have a brakeman on board each train. Save some of your time to stroll through one of Europe’s longest pedestrian streets in Copenhagen’s largest shopping district. Choose between high-end fashion labels or high street chains on its 1.1 kilometre stretch. If shopping isn’t your thing, view the buildings and churches along the way and stop off at the Stork Fountain in Amagertorv Square, where you can watch a variety of street performers. Recharge your batteries over a meal at the old port with its colourful and individually-shaped houses, with the oldest going back to 1681. Or just relax on the quayside and enjoy the jazz music. Hans Christian Andersen lived at three different addresses here including number 20, where he wrote several fairy stories including The Princess and the Pea. Head to Langelinje Pier for a statue of one of Andersen’s most famous creations, the sad tale of a mermaid who falls in love with a handsome prince. Danish brewer Carl Jacobsen gave the statue to the city in 1913 after being moved by both the story and a ballet based on it. This 17th century round tower is the oldest working observatory in Europe, and is still used by visitors and amateur astronomers. The spiral walk means that you travel 209 metres to reach the top, which is only 36 metres up, so you might want to check your travel insurance before you start! The library hall once contained the university book collection and was used by Hans Christian Andersen, who found inspiration here. This impressive complex, dating from the 1700s and consisting of four buildings, is considered to be one of the best examples of Danish Rococco architecture. Explore its history in the Amalienborg Museum in Christian VIII’s palace and pause to watch the daily changing of the royal guards. Don’t miss a visit to this museum housed in the Prince’s Palace and covering the Stone Age, Vikings, Middle Ages and Renaissance, and most importantly for tourists who want to understand Denmark, modern Danish history. Pick one of the self-guided tours lasting an hour and you’ll have plenty of time to explore the rest of the city. ← An Awesome New Way to Save on Travel: Groupon Coupons!